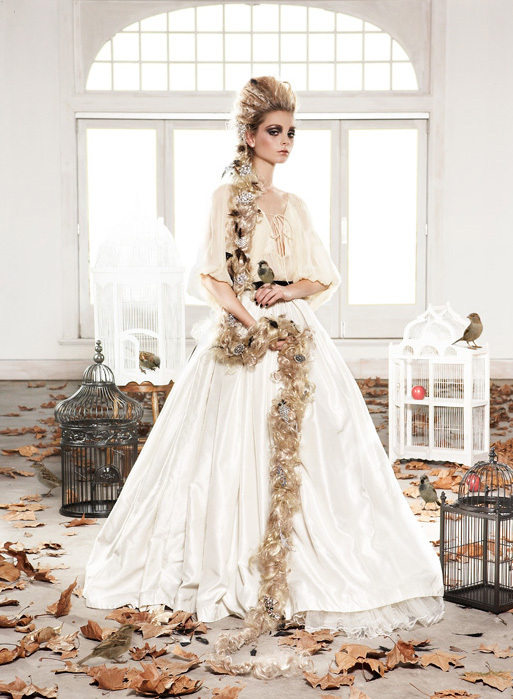 I am in love with this fairy tale inspired shoot by Fiona Quinn for Bullet Mag. It’s named “Dark Tales” due to fairy tales origins usually being quite dark. I love Fiona’s style of photography – everything she does seems to have a timeless, beautiful feel to it – I am having trouble describing it, but you only need to look at the shoot to see what I mean. I am also intrigued by the concept behind the shoot – I now want to find out more about the origins of fairy tales! Here’s a couple of my favourite shots, visit Bullet Mag to see the rest.